Trendy bars, rooftops and beer gardens, there’s nothing better than catching up with friends and heading out for a night of good food, delicious drinks and some entertainment. Whether it be to celebrate a promotion, a birthday or just to catch up for a quick drink after work, sometimes it’s nice to try something new. Now, don’t worry, your local will still be there tomorrow and you may feel like you’re cheating on your favourite bar stool, but if you’re in the mood for trying something new we’ve got you covered with these popular bars. Head out for a new experience this weekend or just for a quick drink with friends to test the waters and quench your thirst at a fresh watering hole. There has been a friendly rivalry between Sydney and Melbourne for years about who has the best night life and venues, but let’s face it, we love them all! If there is a cold beer on tap or a crisp white wine to enjoy on those hot summer nights, there’s nothing better than a drink with good company. Melbourne’s bar scene is great with a huge selection of places to venture to. It seems like every week there is some new place opening up offering something special so we decided to check out what’s on offer in 2018. There is a range of hotels that are all within easy walking distance, saving you from a taxi fare. All you have to do is decide which type of establishment you feel like visiting – up in a high roof top with skyline views or down low in a venue surrounded in luhs plants. Instead you could let your feet do the walking and perhaps stumble upon one of Melbourne’s hidden treasure – we’ll let you in on a couple of those. 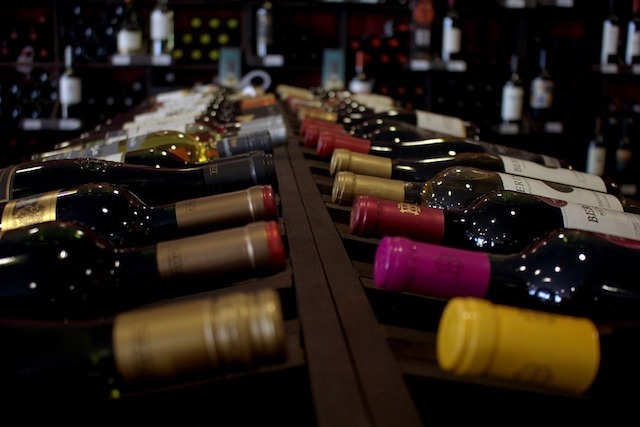 For all the tourists and Melbournite’s out there looking to experience something fresh and sparkly new, how about heading to Neptune Food & Wine in Windsor. With a focus on seafood and a Mediterranean vibe, this double story wine bar is every wine lovers dream. A cold crisp white with your seafood on a summers eve… yes please! Don’t worry they haven’t forgotten about the carnivores who can delight in a perfectly cooked steak with a beautiful malbec. 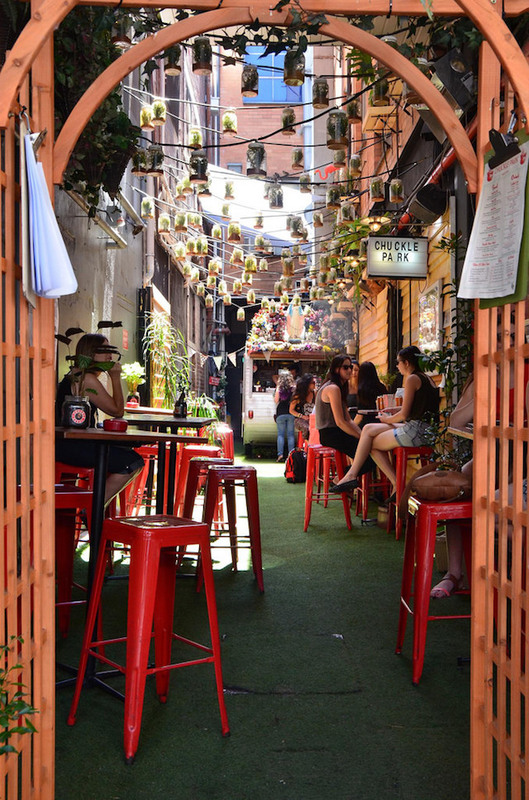 Paradise Alley in Collingwood is another trendy spot with a more relaxed vibe offering something for everyone. This nifty location also includes a microbrewery, an art gallery for you to spend some time in after dinner and a deli full of delicious treats. Oh, and let’s not forget there is a mouth-watering choice of exotic wonders available to temp any palate such as taco’s. Pick from lamb, fish or pork, and if you’re not in the mood for taco’s the Paradise Alley menu hosts a delight for everyone. Is there anything better than a rooftop bar? Enjoying outdoor dining in an elegant setting while feasting your eyes on that Melbourne skyline with 270 views is a great way to spend an afternoon or evening without having to travel too far. Clarendon Hotel has opened a new Sky Bar to tempt you to venture out on those warm summer eves. Enjoy delicious cocktails, great food and a central location suitable for everyone, right in the heart of South Melbourne. Good Heavens has something for everyone. Their menu covers a wide variety, so the picky eaters, meat eaters and vegans alike will find something delicious on the menu while sipping on their range of colourful cocktails. Set in the CBD for easy access, it’s worth the climb up the stairs to be rewarded with that ice-cold beer at the top! For beer connoisseurs and all lovers of craft beers, Collingwood’s Stomping Ground Brewing Co. Brewery & Beer Hall is bound to make your heart skip a beat. Not only is their beer garden awesome, it has a retractable roof and an onsite 24 tap bar… Seriously, even if you aren’t a beer lover you have to be impressed with that! Boasting the title “biggest beer garden in the CBD”, Trunk stands up to it as a popular haunt any time of day or night. With 3 main spaces –restaurant & bar, beer garden and a diner, it offers everything your taste buds could desire with snacks, pizza, an incredible menu, cocktail list and dream desserts. 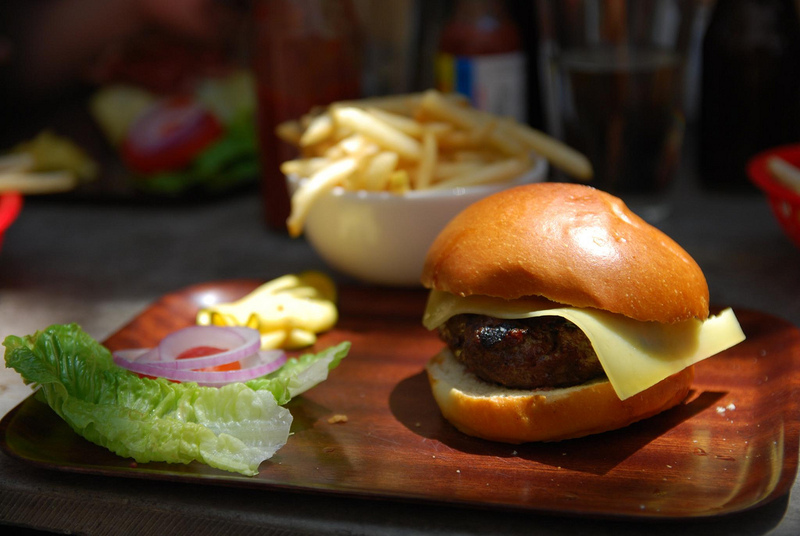 The diner serves a Wagyu burger that is the talk of the town. If you have to go through tunnels, under bridges or climb fences to get into a place that is packed with locals then you know it’s a hidden gem worth discovering! One such place is Arbory Bar & Eatery. After you’ve adventured to find the entrance you are rewarded with some of the best burgers in Melbourne. The crumbed mushroom and haloumi burger has even the strict carnivores raving, so it must be mouth-watering to pass up on the traditional beef patty. If visiting during summer, keep your eyes peeled for the additional bar that opens up on the water – Arbory Afloat. Hidden away on Little Collins St, be careful not to walk straight past Chuckle Park, another quaint little treasure and hot spot for locals. Famous for their pulled pork rolls, it’s a great little hideaway for an after work meet up with friends to enjoy a drink and a quick bite. Run away on an African safari right in the heart of the city at Glamp. A fun experience hanging out in a Safari Tent while enjoying cocktails, it’s a little holiday away from reality. Glamp is secretly hidden away above Polēpolē bar and Kitchen on Little Collins St.
One thing Melbourne has conquered is the art of fresh air, roof top and garden dining to make the most of every square inch of the local scenery on those long summer days and nights. You’ve got no excuse to try a few of these hot spots when you’re in Melbourne, and if you’re a local I think its definitely time to stop missing out on the fun!